Captain Dan’s offers morning, afternoon and evening cruises. Advance reservations are recommended. 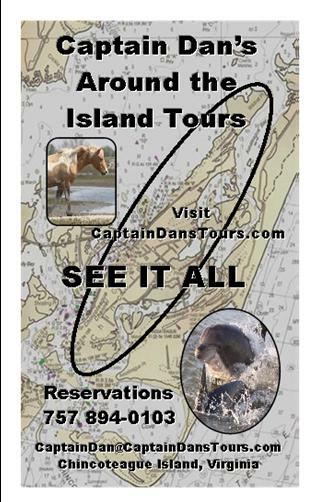 Our Around the Island Tours are 2 – 2.5 hours in duration. 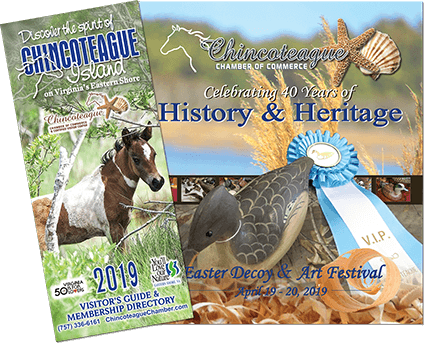 You will travel approximately 22 miles, passing completely around the Island of Chincoteague and between Chincoteague and the Island of Assateague. You will have the opportunity to view the ponies, birds and other wildlife that frequent the Islands and marshes in the area, as available. Also we travel through waters where a variety of sea life can often be seen including dolphin, large rays and sea turtles. You will not feel crowded as we never take more than 6 guests on each of our 25′ pontoon boats. We do however operate 2 boats and can coordinate the trips to accommodate groups of up to 12.